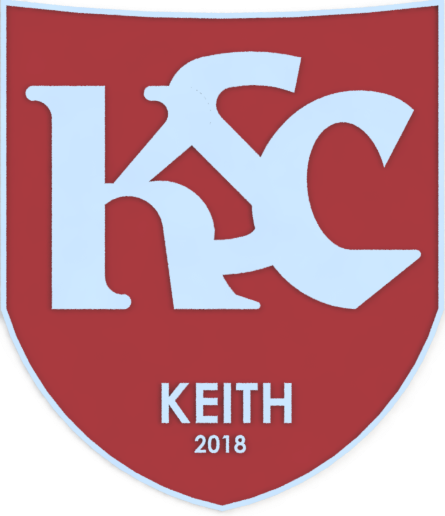 It was the first game of the season for Keith on Saturday following the postponement of the Forres game. Unfortunately this clashed with an event which meant no committee members were able to attend. We thank Charles Simpson for kindly preparing the report below in the absence of an official KSC effort. Keith got their 2018-19 season off to a flyer on Saturday with a scintillating nap hand at Grant Street Park. The Maroons’ new term was delayed following the sad passing of former Chairman and Honoray President Sandy Stables the previous week. The big fellow was surely looking down from above with great satisfaction as Dean Donaldson’s troops achieved their biggest win on Clach’s own stamping ground in the Merkinch since 1990. Jamie Lennox, back in the fold as a player/coach, paved the way with a deadly double. Jamie has now reached the “tender” age of 30, and remains the youngest player to top the Club goalscoring charts for a season with his dozen goals in 2005-06. Skipper Cammy Keith also bulged the old onion bag from the penalty spot, his 209th goal for the Maroons and only three short of 300 league and cup goals in the Highland League with his 88 strikes for Formartine. Deano’s Dynamos raced into a three goal lead thanks to a composed double from Lennox, and wee Craig Macaskill, upon his return from Australia, putting the visitors well in the driving seat at half-time. Fraser Robertson reduced the deficit for the “Lily Whites” after the break, but the unflappable Cammy Keith rattled home his 34th spot kick for the Maroons to put his team in sight of an opening day win. Robertson replied with a spot kick of his own but Michael Selfridge completed the scoring in fine style to get the Maroons off and running. Following a full pre season training under the management trio of Club legends Donaldson, Lennox and Brown, the squad looks fitter, sharper and more confident in themselves, with the distinct feeling that there is a good dressing room atmosphere. KEITH – Simpson, Young, Smith, Begg(Hutcheon), Robertson, Manson, Macaskill, Lennox(Barron), Keith, Keir(Berton), Selfridge. subs unused – McAllister, Spink, Norris, Brownie.